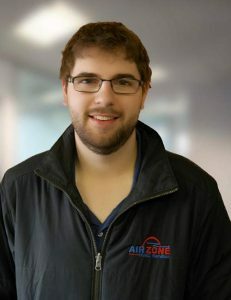 Sean has been with AirZone since he was co-op student in College! For over five years he has improved as a technician at a drastic rate. This is directly reflected in his beautiful installs, attention to detail and great track record with customers. He is incredibly easy to speak with and great at explaining what to expect during installation. 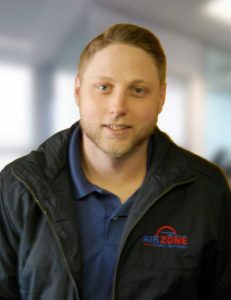 With over ten years of experience in the field, Jason is the lead installer at Airzone HVAC. Fully qualified as a gas tech, refrigeration tech, sheet metal worker and commercial technician makes Jason the equivalent of a PHD in Heating and Cooling. His quality work directly reflects the passion and care he brings to the field each and every day. 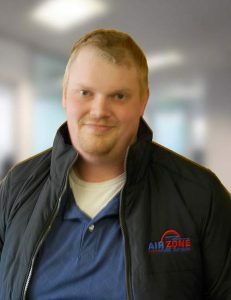 Adam is an installer in our Ottawa Valley division of AirZone. The fast paced environment of a steadily growing new branch was a perfect fit for Adam. He joined the team as one of the first hires after our expansion up the Ottawa Valley. 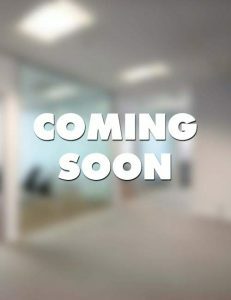 From the beginning it was obvious that Adam was a dedicated, hard working individual that aimed to grow as the company grows. That is exactly what has been happening and Adam has become a great installer and is well on his way to becoming a Service technician as well! 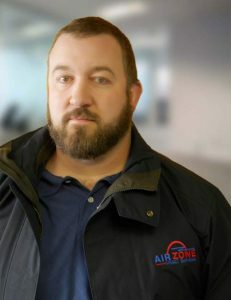 Scott has worked on and off with AirZone as he accomplished his degree. From running our duct cleaning machines to aiding in commercial installations, Scott is now working with Jason on becoming a licensed sheet metal technician; Scott is a very well rounded technician. We look forward to his continuing improvement and the future looks bright! One of our newest installers, Cameron has shown amazing potential in the year he has worked with AirZone. He continually performs beautiful installations with Michael and is learning at a very rapid pace. He also possesses one of the brightest, most positive attitudes you could hope for in a technician and is a pleasure to work with.